Farm'd is a community marketplace for Chefs and Farmers. 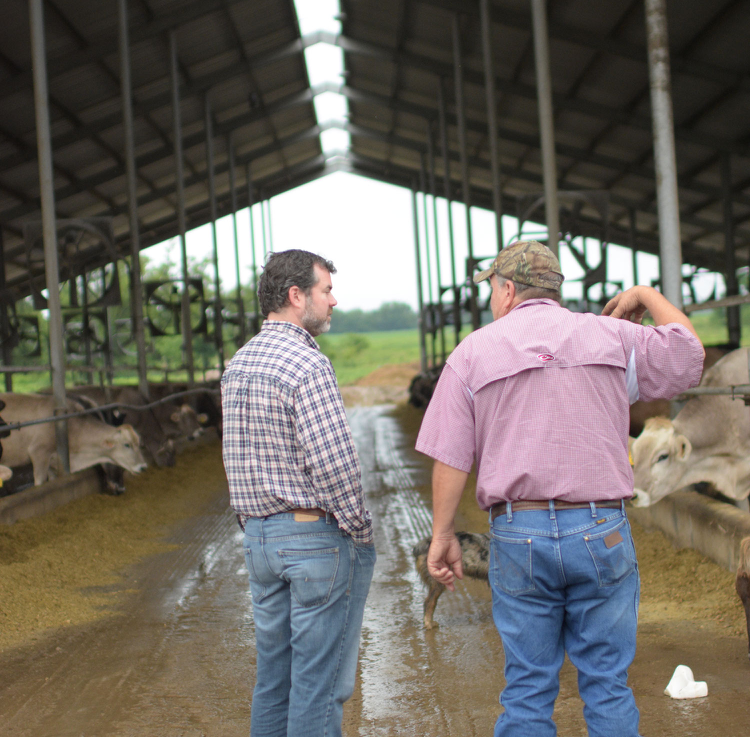 We've built Farm'd to make sourcing from local farms the best part of your day- streamlining the process by eliminating the tough parts like logistics and payment so you can spend more time doing what matters- connecting to farmers, and sourcing top quality product. GO DIRECT, GET BETTER PRODUCT. Farm’d is built by a team of Chefs in love with fresh local food. Like thousands of others in the business, we discovered the joy of getting seasonal product from local farmers, while also feeling the pain of managing a complicated supply chain. The management of a dozen of small suppliers is hard on your cooks, hard on your accountant, and hard on you. The price of going local is not always written into the food cost- managing small suppliers can be a chore. We built the Farm’d community to help you and thousands of other chefs solve the tough problems of local sourcing, leaving you time to do the important stuff- connecting with farmers, and getting great product at the right price flowing into your kitchen. THE DEATH OF THE CLIPBOARD. Every kitchen we've ever worked in has a stack of paper on an old clipboard full of order info. Lists from the different suppliers, scratched out contact info, scrawled in price changes, old menus. We think that clipboard deserves a round of applause for holding it together for long years, through supplier changes, sick days, and (all too rare) vacations. Farm'd is a tool that makes every part of that old clipboard better, faster, collaborative, and easier. We're here to bring that clipboard onto your phone and computer, right where communication with your suppliers lives. ON TIME & IN REAL TIME? ABOUT TIME. Working with a dozen or more suppliers means that deliveries get more complicated- and Farm'd has built tools to make every part of the process easier. We provide our chefs automatic truck tracking for every one of our farm deliveries, so you'll always have an estimate of arrival time, as well as updates from the road. We provide real-time invoice confirmation, meaning that any surprises are corrected right away. Our paperless delivery means you'll never lose another delivery slip, and our simple order tracker confirms orders before they arrive. Farm'd is a whole new way of sourcing, so everyone has questions. We're here to help! We're currently growing our chef community, and you're welcome to join- you can get started with Farm'd in just a couple minutes. We don't require a lengthy setup process or credit applications- all you need is your restaurant info, and we'll get you started. Two of the core principles of Farm'd are community and transparency. We're committed to making connections between growers and chefs happen monthly, and we'd love to have you join us on an adventure out to visit the folks who feed us. Our goal is to partner with local chefs and farmers in the Peach State to provide a memorable, outdoor tour and dining experience, where you can meet the farmer and hear the stories behind the food you will serve to your guest, creating true transparency from seed to service. Your morning will begin with a luxury bus ride to the farm, followed by a tour and culminate with lunch inspired by farm fresh ingredients. As an added bonus, on the day of the tour, we will offer a special 24-hour discount to anyone who wants to order from this farm. Click below to register and see where we're off to this month!